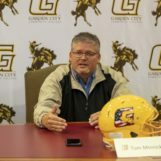 The man that led Arizona Western to three National Championship Games in 11 seasons; the one who leaves as the winningest coach in Matadors’ history, was named the new Head Coach at Garden City on Wednesday morning during a press conference at the Perryman Athletic Complex. Minnick’s bravado is one of a confident general, someone who’s navigated the Junior College landscape as well as anyone. Since he arrived in Yuma in 2008, Minnick restored a program that hadn’t won a bowl game in more than 40 years. In his second season, he had them playing in the Mississippi Bowl. Two years after that, they battled the Lions in the National Championship Game, nearly crawling all the way back from a 27-0 deficit vs. record-breaking quarterback Bo Wallace before falling 55-47. In 2016, Minnick’s squad reached the title game again, and held a 22-19 lead over top-ranked Garden City in the closing minute. That was before Peyton Huslig engineered a game-winning, 85-yard drive that culminated in his one-yard touchdown pass to Harley Hazlett. In 2017, Arizona Western finished as the No. 2 team in the country before losing to East Mississippi 31-28 in the championship game. Minnick’s roots date back to his days as an assistant in Illinois where he worked for legendary Head Coach Bob MacDougall at Joliet. In 2001 and 2002, the Wolves won back-to-back national titles while sporting a 21-game winning streak. Six years later, Minnick got his first taste as a Head Coach when MacDougall retired, leading Joliet to 17 victories over two seasons including a 10-win campaign in 2007. The wolves played in two Graphic Edge Bowls and finished No. 10 in the final NJCAA poll in 2007; their highest ranking in five years. 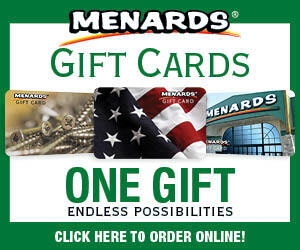 The Minnick-MacDougall dynamic dates back even further when Minnick was MacDougall’s starting quarterback at the College of Dupage in 1986. After graduating with a business degree from the University of Missouri-Rolla, Minnick spent seven years as an assistant at Dupage, helping the program to bowl appearances every season. Minnick’s departure from Arizona Western definitely rocked the West Coast. But it comes at a time of uncertainty with teams in Maricopa County shutting down their programs. “I’m not scared to come in and follow Coach Sims,” Minnick said. “We’ve had our own success at Arizona Western. When I took over that program, we started basically from scratch and built it. Here, it’s already built. We just have to continue that success. Minnick’s resume speaks for itself. He’s 35th on the NJCAA’s all-time wins list with a record of 111-35. He led Arizona Western to top-20 finishes in eight out of his 11 seasons there while directing them to 10 straight bowl games.